Bus/VAN Transportation Management Software is designed for effective maintenance of transport in school/ or institutions. This module directly deals with various issues like optimum utilization of school transport and manage route and drivers details. School management software has introduced the best feature of Transport Management which facilitates better security to students and parents. This module tracks and maintains all the details related to transportation which includes vehicle name, route details, transportation fees and this structure can be predefined. Transportation module is an efficient route planning which makes the day to day task for transport very simple as its main focus is on the safety of students. This module tracks all vehicle details along with driver details which improve safety and exact location can be easily tracked. This module also improves communication with parents as they will get alerts regarding delay of the bus through SMS. You can easily track vehicle maintenance and fuel charges reports. To increase security, management can save driver and conductor details with identity proof and contact details. 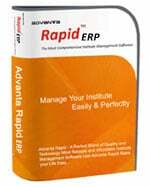 Advanta Rapid ERP school management system, college management software, and institute management software comes with Bus/VAN Transportation Management Software. It offers the best solution to manage transportation route with basic information of vehicle along with student pickup and drop-off stations. In Advanta Rapid, you can easily maintain a database for students or staff who have opted for transportation along with charges for one way and two way are predefined. Records are maintained for any regular maintenance, insurance, up gradation of the vehicle; means in the case of one school bus you changed horn, so related to that like from where to get the horn change, the horn is of which company, the date on which it was changed and cost of it, etc. Advanta Rapid has various customized reports related to transportation management module. You can easily upload data for the route (pick up/ and drop off stations) with all transportation details through an easy to use Advanta Rapid ERP software. This module has the provision to instantly inform parents with SMS notification for any kind of change in the schedule of buses. Reports related to insurance, maintenance charges all are accurately maintained. You can easily define timings for particular pickup station and drop out too. Students who have avail transportation related to that reports are generated accurately. Reports for transportation fees/ fare are properly maintained. Step 3: List down students with their class and staff members who have availed the service of transportation. 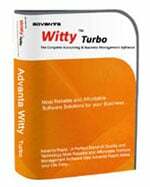 Need more information on Transportation Management Software? Contact us for a free demonstration of school/college Transportation Management Software.